It is unknown when Johann Sebastian Bach originally wrote his Suite for Orchestra No. 4 in D major, BWV 1069. The original version has never been found. Some scholars believe that the original music was absorbed into his Cantata 110 from 1725, which narrows down the work's date somewhat; it was not written after 1725, if this theory is correct. The third version takes the instrumental parts back out of the cantata and realizes them again for strings, oboes, trumpets, timpani, strings, and continuo. 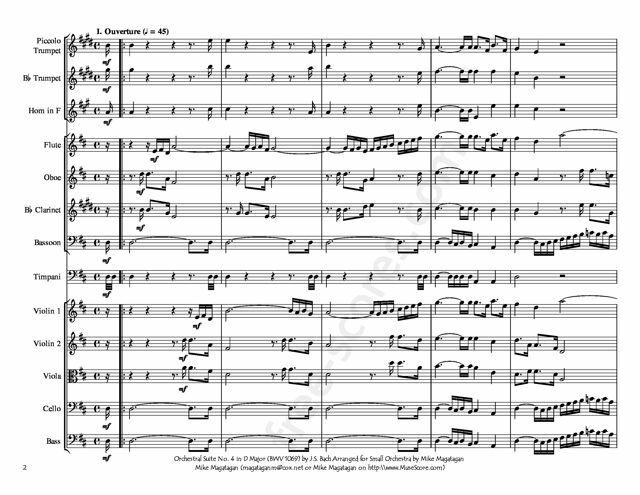 The orchestral suite is also called an overture; these terms are used interchangeably, though the opening movement of this genre is called an overture as well. 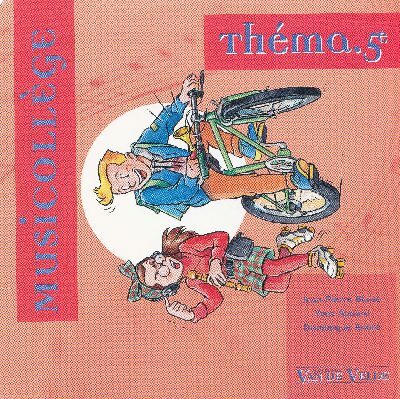 It is generally made to imitate a collection of excerpts from French ballets and operas. French culture held sway over much of the rest of Europe in the eighteenth century. Many composers worked on this genre to the extent that it was the cornerstone of their output. Telemann, the most famous composer residing in Germany during Bach's lifetime, wrote upwards of over 1000 such orchestral suites. The beginnings of these orchestral suites imitates what one expects from an overture of a French grand opera, a poised, regal beginning, featuring the dotted rhythms that French aristocrats were particularly fond of in that day. These openings were then followed by collections of dances. There were general, fixed rules to how these dances were laid out, but those rules did not hold Bach fast. In general, this was not the sort of thing he enjoyed writing. His music tended to be either serious, or sacred, or both. He wrote a phenomenal amount of cantatas. Orchestral suites were something of a fluffier nature, foreshadowing the impending Gallant period. They were optimal for garden parties, trade fairs, and civic celebrations of all kinds, as well as an excellent source of income. Bach wrote only four known orchestral suites, but he wrote them skillfully. Each of them is festive and fun. The secret ingredient in his overtures was to inject a bit of the Italian influence into each one. 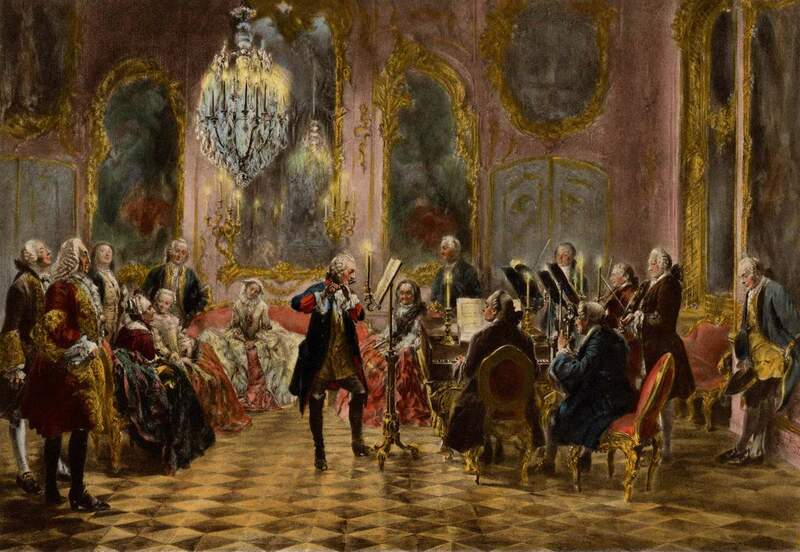 For all intents and purposes, Italian music was much more critical to Bach's style than French music ever was, particularly in his absorption of Vivaldi's concerto style, which brought out a speedy, visceral quality. Thus the lofty tones of the French sound never gets turgid or boring. 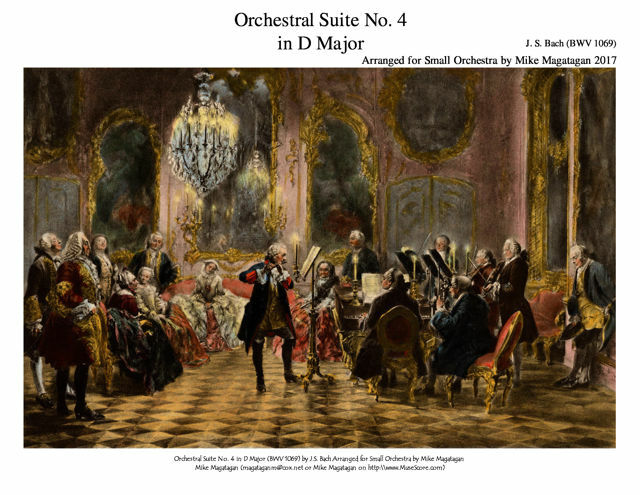 Among the four orchestral suites, the fourth has some of the sweetest, loveliest qualities. It is in five movements, and is under 20 minutes in duration. Never intended for close listening, these pieces often reveal the good nature of a man who usually only offers ecstatic visions and musical epiphany. 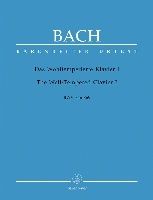 There are also many unearthed works by Bach for keyboard that are not intended as art, but these are meant for teaching, and the sort of accidental beauty they contain is different from the orchestral suites. They were meant as part of a perfect day, not for correcting performance problems. Listeners are recommended to enjoy these pieces without worrying about close listening. A similar collection of works, the Brandenburg Concertos, have a lot more in them for hearers to wrap their minds around. A comparison will reveal the orchestral suites to be airier, with more emphasis on engaging propulsion (the Italian influence) while the concertos have denser and more inspired contrapuntal lines. The question of quality is not really a fair one in this context; Bach's orchestral suites do exactly what they are supposed to do. It is also pleasant to take what the genius regards as simply "pleasant." Although originally written for 3 Oboes, Bassoon, 3 Trumpets, Timpani, Strings & Continuo, I created this Arrangement of the Orchestral Suite No. 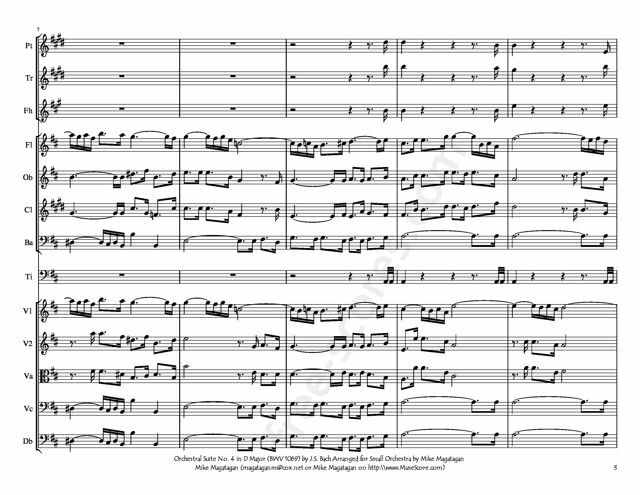 3 in D Major (BWV 1068) for Small Orchestra (Piccolo Trumpet, Bb Trumpet, French Horn, Flute, Oboe, Bb Clarinet, Bassoon, Timpani, 2 Violins, Viola, Cello & Bass).